“Good question. Yes, he should. Should we put vegetables in his cookies?” I replied. “YES! Apples and carrots. Are they both vegetables?” she asked. “No, just the carrots are vegetables.” was my second response, which was all it took to get my wheels turning. What immediately popped into my head was carrot cake and snickerdoodles. Why not try to combine the two? I knew using fruit purees is a common way to reduce fat in baking. I was sure the same could be done using a vegetable puree, however I wanted to make sure the quantity I used to cut the butter and shortening would result in a good cookie. 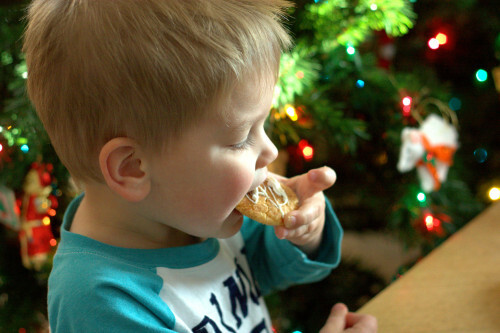 I found this Wilton baking site which confirmed my plan – using an equal quantity of puree to substitute half of the fat of the original recipe. Since I have never made snickerdoodles, I wanted to start with a classic recipe. Most I found had similar ratios of ingredients – the one I closely followed was from Betty Crocker. My only modifications were cutting the butter and shortening by substituting with pureed carrots and adding the candie melt drizzle. The resulting cooking turned out even better than I imagined. My Mother-In-Law even declared it her new favorite. 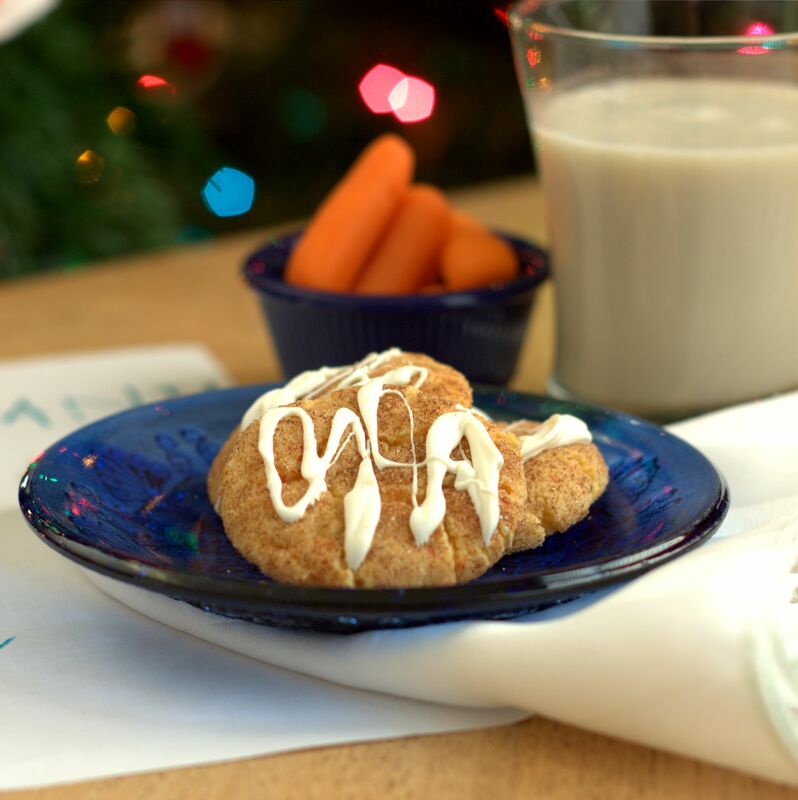 I fear that even if we do set these “healthier” Carrot Cake Snickerdoodles out for Santa this year, the kids might not let them last until he visits. Add the carrots to a small sauce pan and cover with water. Bring to a boil and cook for about 20 minutes, or until carrots are soft. Drain the water and mash (or puree in a food processor) until smooth (makes 1/2 cup of carrot puree); set aside. Preheat oven to 400ºF. Mix the 1 1/2 cups sugar, the butter, shortening, eggs, and pureed carrots together in a large bowl until smooth. In a separate bowl, stir together the flour, cream of tartar, baking soda and salt. Add the flour mixture to the butter mixture and stir until smooth (I found this easiest with a paddle attachment on a standing mixer). Next, shape dough into 1 1/2-inch balls. Mix the remaining 1/4 cup sugar and the cinnamon. 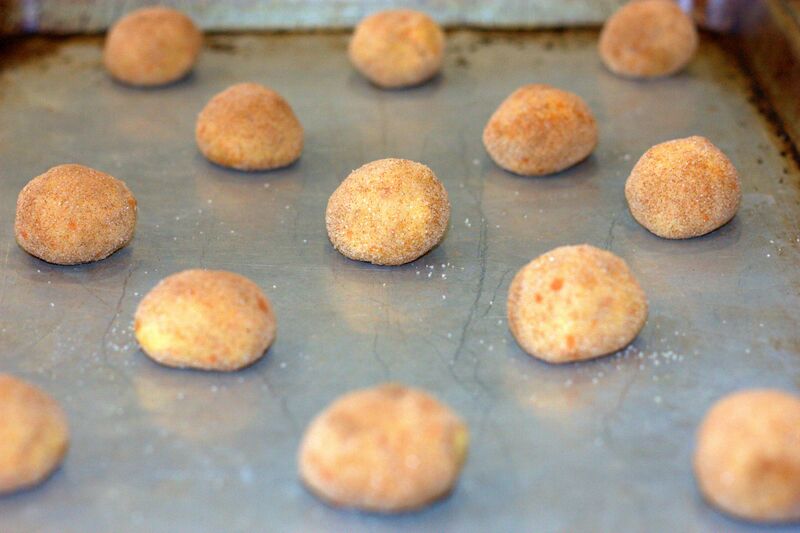 Roll balls in cinnamon-sugar mixture, then place 2 inches apart on an ungreased cookie sheet. 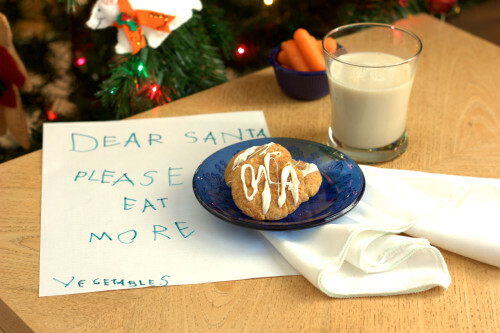 Bake the cookies for 8 to 10 minutes. Remove from the oven and let sit on baking sheet for 2 minutes, then remove from cookie sheet to wire rack to finish cooling. Melt candie melts according to package directions, then drizzle over top of cookies. 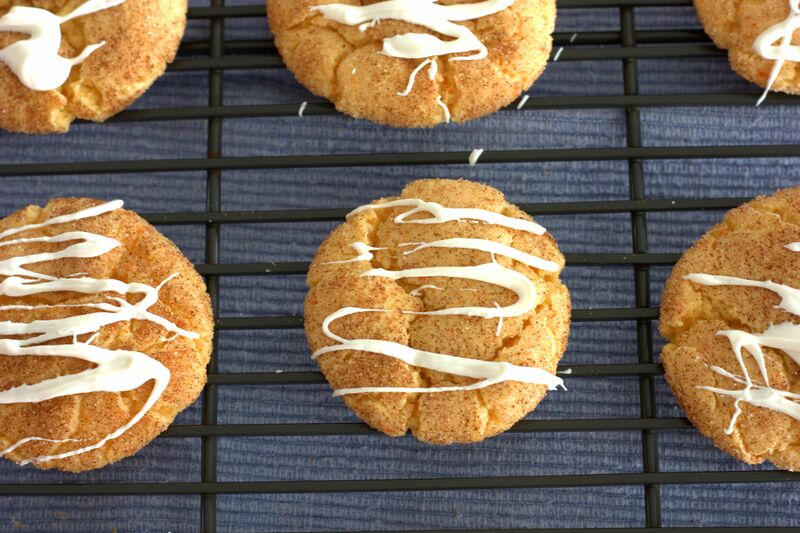 Let the drizzle cool, then store cookies in a tightly lidded container. Makes 3 1/2 dozen. 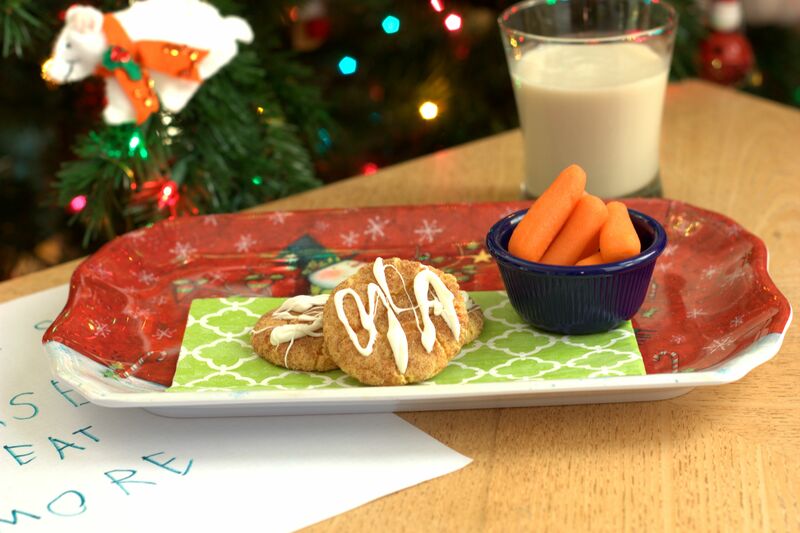 This entry was posted in Dessert and tagged cookie, kid-inspired, vegetables.